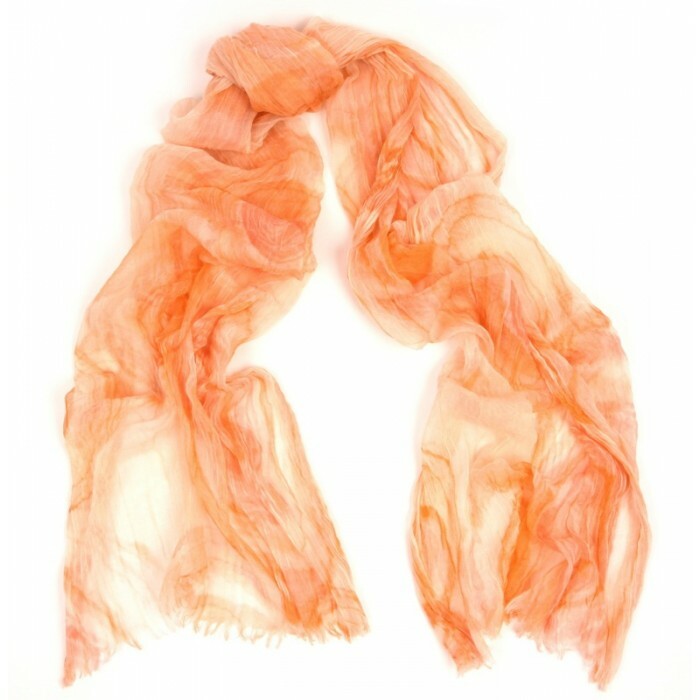 Featherweight crinkled cotton washed chic print scarf in generous 28x80" length. Self fringes on 2 sides. 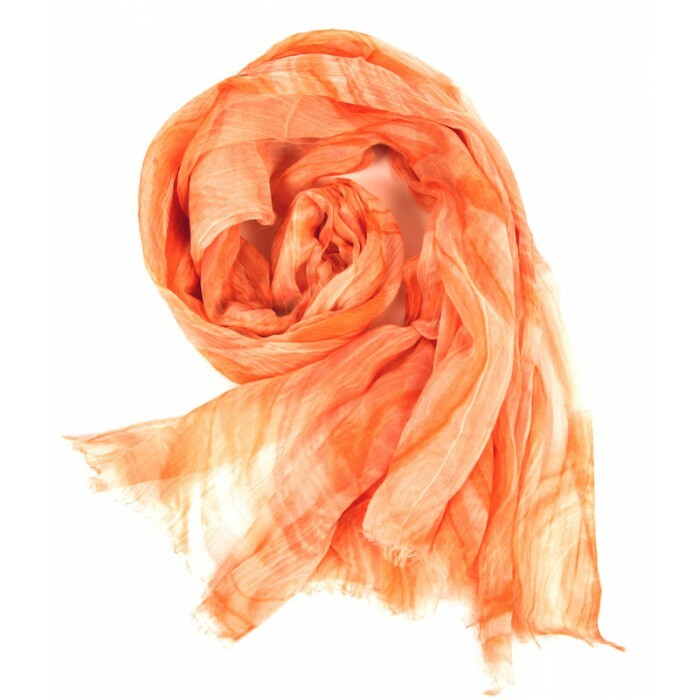 Beautiful rosey orange subtle hued print to wear with dresses and halter tops, stuff in your purse for the movies or beach. 100% cotton, Made in Italy.